It's 16 years since five became six and Italy joined the crew to form the Six Nations Championship. One of the heroes of Wales' 2005 Grand Slam-winning team was 100-cap flanker Martyn 'Nugget' Williams and he has teamed up with BBC Wales Rugby Correspondent Gareth Charles to look back at some of Wales' most memorable and most important tries since the start of the Six Nations. Wales had waited 24 years for a win in Paris and then, after success in 1999, they did it again in 2001. And they achieved it in style with a free-scoring festival of running rugby. James' sprint to the line after a clever set play was a highlight of the 43-35 victory. Fly-half Neil Jenkins won plenty of games for Wales and the British and Irish Lions with his unerring right boot, but the score that finally saw off France was a try. It gave Wales a two-score cushion going into second-half injury time - and sparked scenes of wild celebrations on and off the field. Ryan Jones was to captain Wales in two Grand Slam seasons, but in 2005 he was a promising young back row player who burst on to the scene with this barnstorming demolition of Scotland's defence at Murrayfield. The try sparked a rout of the Scots, and had Welsh fans daring to dream of a Grand Slam. Shane Williams scored 58 tries for Wales and had almost as many different haircuts. Murrayfield in 2005 witnessed one of the great Wales team performances epitomised by this sparkling five-pointer. Wales were without captain Gareth Thomas, but swept Scotland aside in a blistering opening and went on to win 42-22. Wales' first Grand Slam in 27 years was finally delivered in style against Ireland on a sunny spring day in Cardiff. Gethin Jenkins started the ball rolling with his charge-down and dribbler for the opening try, but it was Kevin Morgan's sprint to the line after fine work by Stephen Jones and Tom Shanklin that really sent the Wales fans into orbit. Wales were outplayed for 40 minutes in Warren Gatland's first game as coach at Twickenham in 2008, and were fortunate to be trailing 16-6 at the interval. But half-backs James Hook and Phillips were outstanding as Wales turned the tables on their hosts and took the first tentative step towards a second Grand Slam in three seasons. Four matches later France were beaten 29-12 in Cardiff, with Shane Williams setting a new individual try scoring record with his 41st touchdown and flanker Martyn Williams displaying his best scrum-half impersonation to set the seal on victory. There was no championship or Grand Slam for Wales in 2010, but the 31-24 win over Scotland in Cardiff ranks as one of the all-time great Test matches thanks to a storming start by Scotland and extraordinary fight back by Warren Gatland's team. The home team trailed 24-14 when Scotland were reduced to 14 men by the sin-binning of Scott Lawson with six minutes remaining. A converted try and a Stephen Jones penalty saw the home team draw level and 80 minutes were up and Scotland further reduced to 13 men when Scotland re-started the match. A minute later, Williams rounded off a wave of Welsh attacks to break Scottish hearts. Wales started their 2012 campaign with a superb win over Ireland in Dublin. George North and Jonathan Davies were Wales' try-scorers, with the pair combining for Davies' outstanding second. But it took a late Leigh Halfpenny penalty to clinch victory. After beating Scotland, Wales completed the triple crown in a tense match in Twickenham when Scott Williams ripped possession off England second row Courtney Lawes and beat all comers to his own kick before diving over between the posts. 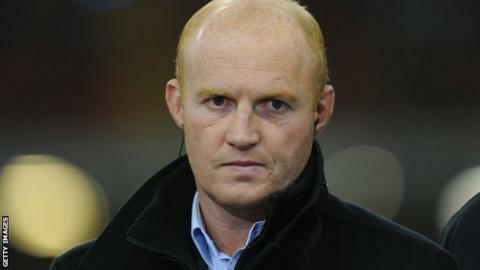 Wales survived a late TMO scare to win 19-12 and went on to complete a Grand Slam with victory over France in Cardiff. The 2013 meeting between Wales and England in Cardiff was a match with more than usual at stake. England were chasing a Grand Slam, while Wales could win their second consecutive Six Nations title provided they won the match by eight points or more. In an extraordinary atmosphere at the Millennium Stadium, the two teams battered each other before Alex Cuthbert scored twice in the second half to take the game away from Stuart Lancaster's young side. Cuthbert's second, with flankers Sam Warburton and Justin Tipuric lending more than a hand, is one of the most cherished moments of recent Welsh rugby history.